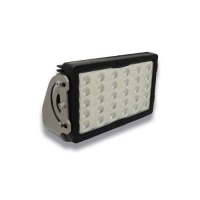 Our special Pitmaster Marine Series light has all the lighting horsepower of the standard high powered Pitmaster lights but modified for the harshest of off-shore environments. 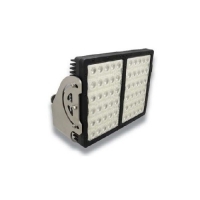 Watertight CREE high powered LED modules run on AC (with power supply) or DC and are designed to replace halogen, halide and HID lights. All hardware is high grade stainless steel (saltwater safe) and the lights have a specialized high gloss hydrophobic salt resistant coating. Available in seven different beam patterns from a long distance spot beam to a super-wide 90° spreader flood.